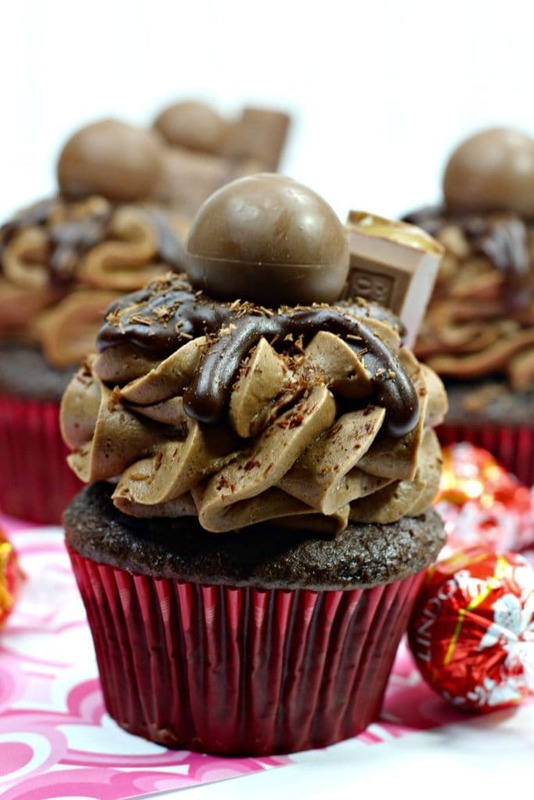 These moist Lindt Truffle Chocolate Cupcakes are literally packed full of flavor! With each and every bite, you can be certain that your taste buds are getting chocolate, chocolate, and more chocolate! Give your love these homemade cupcakes this Valentine’s Day to show them how “sweet” you are on them! Let’s talk chocolate. Seriously, who can say no? With Valentine’s Day approaching, the time has come for boxes and boxes of chocolate to be lining the shelves. But those store box chocolates just aren’t the answer. 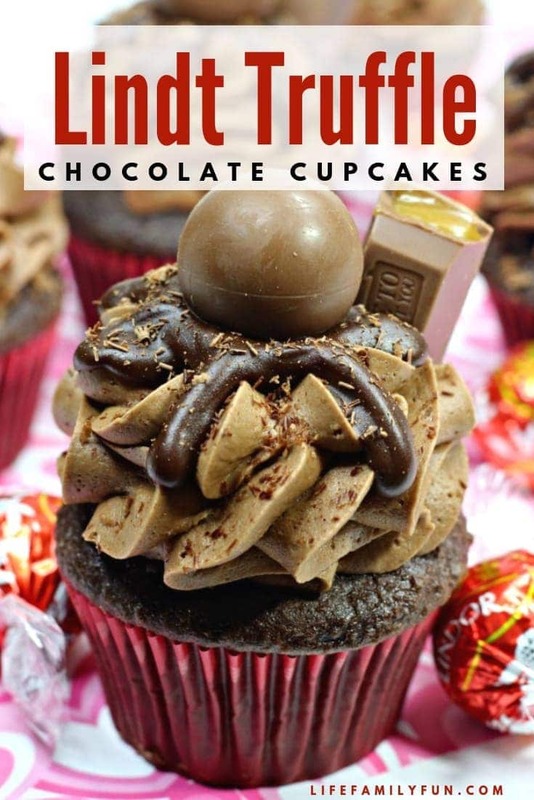 The love in your life deserves to be treated to these Lindt Chocolate Truffle Cupcakes made with Lindt Lindor Chocolate. 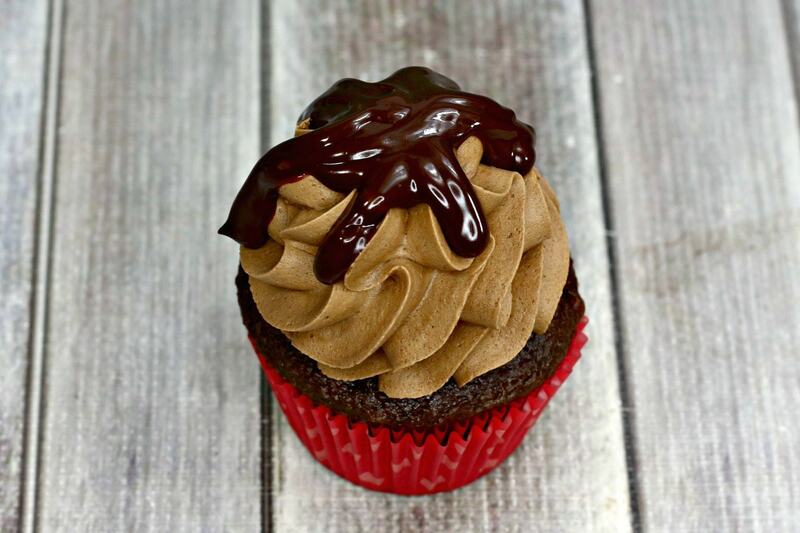 Chocolate cupcakes and chocolate frosting topped with even more chocolate? Yes, please! Seriously, one look at these, and your Valentine’s sweetie will be head over heels! Good thing this cupcake recipe makes more than one! 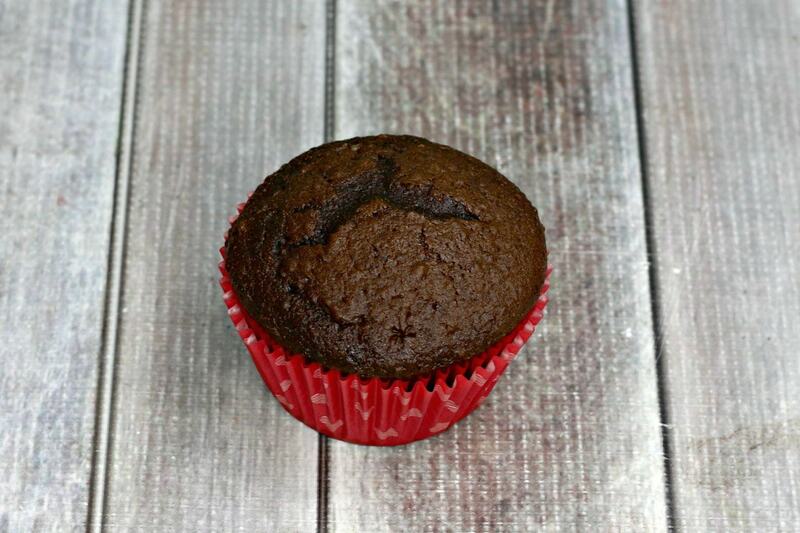 How do you keep your cupcakes from drying out when cooking? 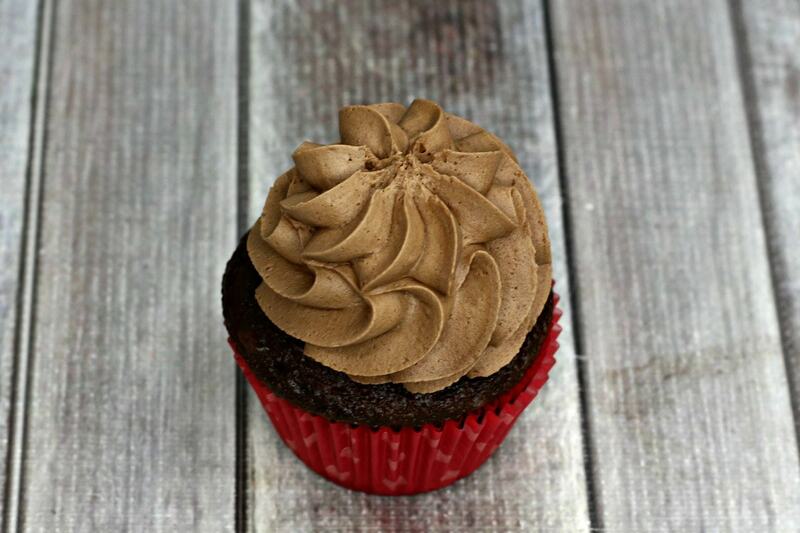 Can you make this chocolate cupcake recipe with a boxed cake mix? 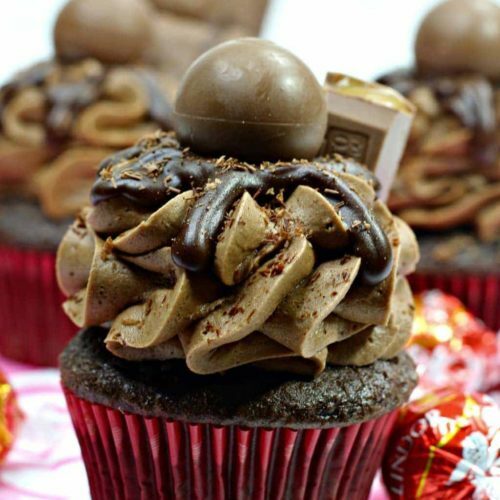 Can you Bake A Lindt Chocolate Truffle Into A Cupcake? As long as you follow the directions, and measure carefully, these chocolate cupcakes should bake perfectly. Dryness comes from the recipe not being followed or “guessing” on the measurements. No one likes dry cupcakes…no one! Don’t make these Valentine’s Day cupcakes without following the recipe perfectly! Absolutely, but where’s the fun in that? The point of Valentine’s Day is to make something special for your sweetie, right? Don’t cut corners on this special day. Dedicate yourself and create this delicious recipe. You’ll be so happy that you did. You can but in this recipe, I chose not too. You could fill your liners like usual, and then gently push the truffle into the middle, leaving half of it above the batter. The batter will rise to cover and the truffle will not end up at the bottom of the cupcake. Once the cupcakes cool, the chocolate will melt into the cake. If you’re looking for a great way to start your Valentine’s Day, these heart shaped cinnamon rolls are exactly what you need!